2013 was a memorable year for Covington as many historic properties met new life and others met the wrecking ball. Multiple battles ensued over some of the properties: were they worth saving? In one high profile debate, the answer was, no, and a nineteenth century mansion came crumbling down in a matter of hours. In another, a mid-nineteenth century pair of townhomes slated to become a parking lot for a neighboring business was not only spared but proved a perfect rehab job for a law firm. A handful of Downtown buildings that once bustled with the hustle of a vibrant urban center but sat vacant and neglected in recent decades are at the beginning or ending stages of their second lives, with new mixed-use developments returning to the city with new skin and old bones. 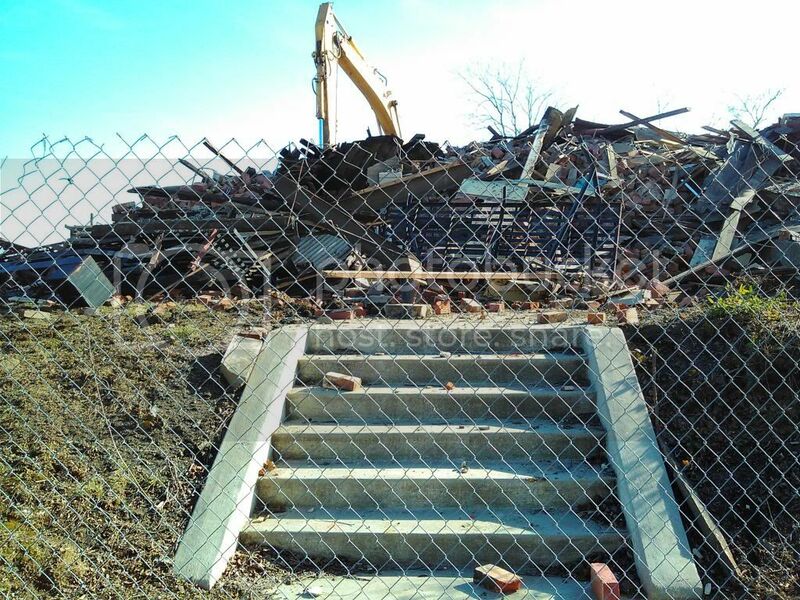 A debate that started in 2012 ended in a pile of rubble as a prominent mansion came crumbling down before being swept aside to make way for a slick new Walgreens. The property at the southeast corner of Martin Luther King Boulevard and Madison Avenue, owned by the Diocese of Covington, was sold to Covington-based Anchor Properties which developed the new Walgreens, a store expected to serve as a model for the national chain. In February, preparations began for demolishing the structure when fencing and a construction sign were put up. Days later, the wrecking began and within hours, what stood for more than 120 years laid in a pile of trash behind its steps. 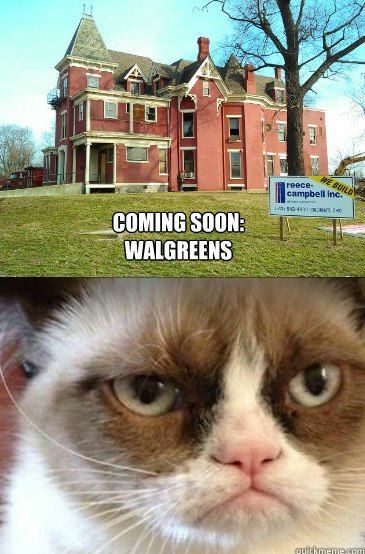 Weeks later, construction began on the new Walgreens. After it was nearly finished, the new store was tagged with graffiti but shortly thereafter it was cleaned up and opened with a ribbon-cutting ceremony attended by local business leaders. The new store with its concrete floors, industrial-style ceiling, updated technology, and grocery selection is expected to be a standard for Walgreens' national plans. Though the Bishop's Mansion was torn down, the Covington ReUse Center was able to salvage many historic trinkets from inside and placed them up for sale. In a stark contrast to the saga of the Bishop's Mansion, a pair of nineteenth century townhomes on Fourth Street found themselves on their death bed. The city gave approval to neighboring Legacy Financial Services, which won an award for preserving its own building, to tear down the townhomes to make way for new parking. And then suddenly, without explanation, those plans disappeared and local attorney Christopher Jackson got his hands on the decaying property and decided he would take a plunge into preservation by renovating the townhomes and turning them into his law office's new home, which would relocate from Scott Boulevard. Jackson gave The River City News a tour of the property at the early stages of the renovation. It was in terrible shape. But the end result was nothing short of a preservation miracle. Being so close to the wrecking ball, 121 East Fourth Street now has new life and seven employees working throughout it with spacious offices, two conference rooms, two kitchens, several bathrooms (two of which feature antique dressers that Jackson salvaged and restored), and a full gym in the basement. "We're very happy," Jackson said. "It was a lot of work but well worth it and we're ready to get back to work. 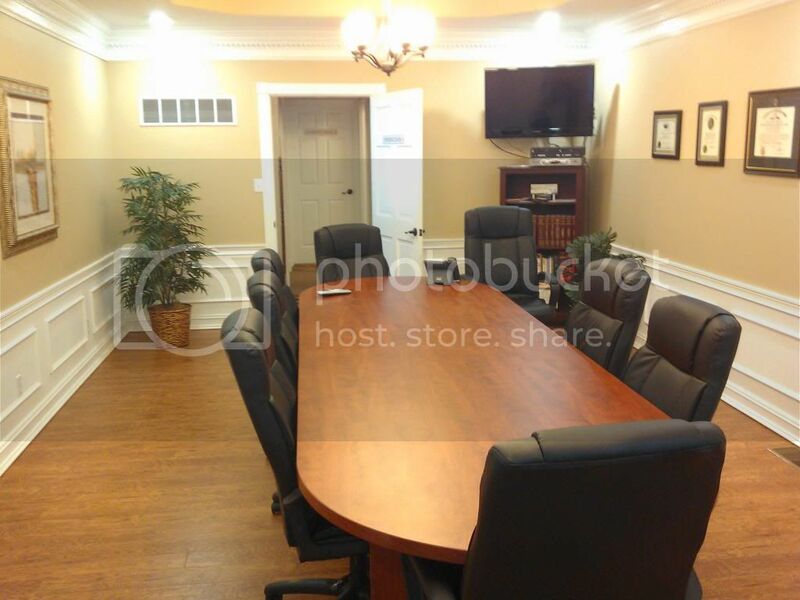 We're happy to have such a historic place and we did our best to keep the historic features." 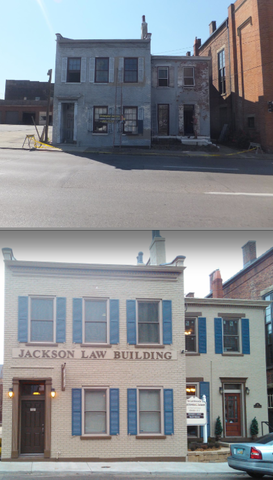 In May, the renovated law office was one of several properties in the Northern Kentucky River Cities to be honored with Excellence in Preservation Awards. In 2014, The River City News will dedicate more space to stories about preservation and the people who restore (or want to learn how to restore) the historic treasures that fill up the cities of Northern Kentucky's urban core. There will be more information on that effort forthcoming. But one thing is for sure: If 2014 is anything like 2013, we'll have our hands full! A sprawling mansion that once belonged to a significan figure in Kentucky Derby history hit the market and RCN got a tour before it sold months later. Presenters from Philadelphia spoke in Covington about the hidden value in a city's sacred places. Covington became the epicenter of preservation in Kentucky when it hosted an annual statewide historic preservation awards program & street party where two folks from the city and an event in the city were honored. Madison Avenue Christian Church restored and re-dedicated its stained glass windows. Work began on a long-neglected Downtown Covington building that will soon be home to the Covington Police Bike Patrol. 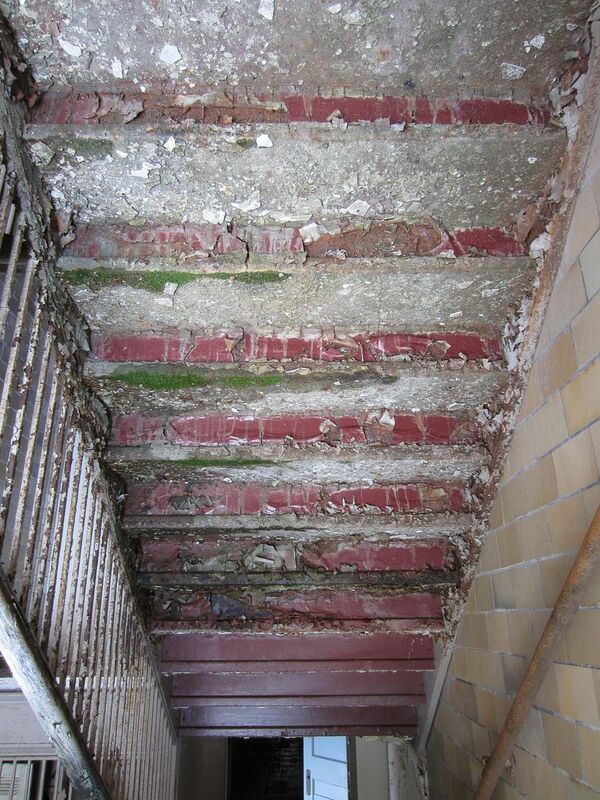 The Lincoln Grant School Building had a very busy year. It was approved by the Commonwealth of Kentucky to be recommended for the National Register of Historic Places. 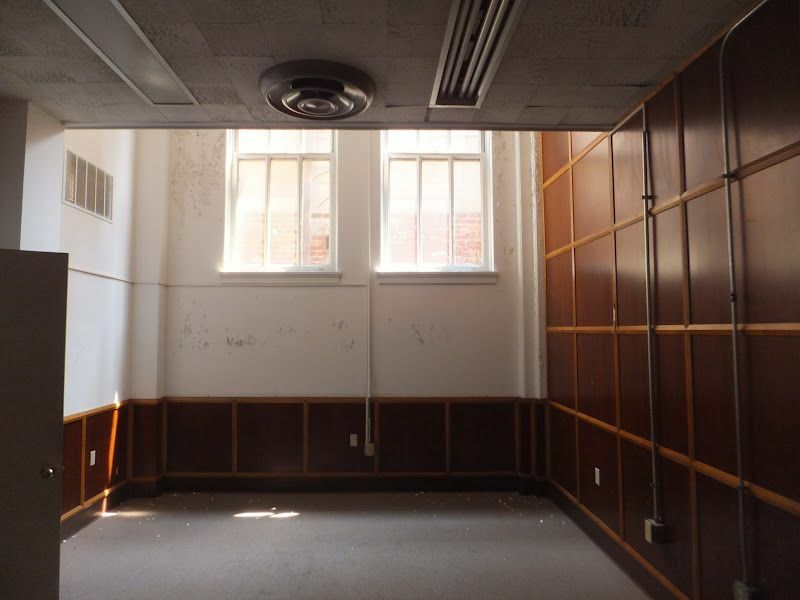 A photo tour inside the building by The River City News showed the shoddy condition the former African-American high school was in, but that did not stop ambitious developers from announcing plans to transform the property into a Scholar House. It was also a busy year for the Mutual Insurance Building at the corner of Pike Street & Madison Avenue. 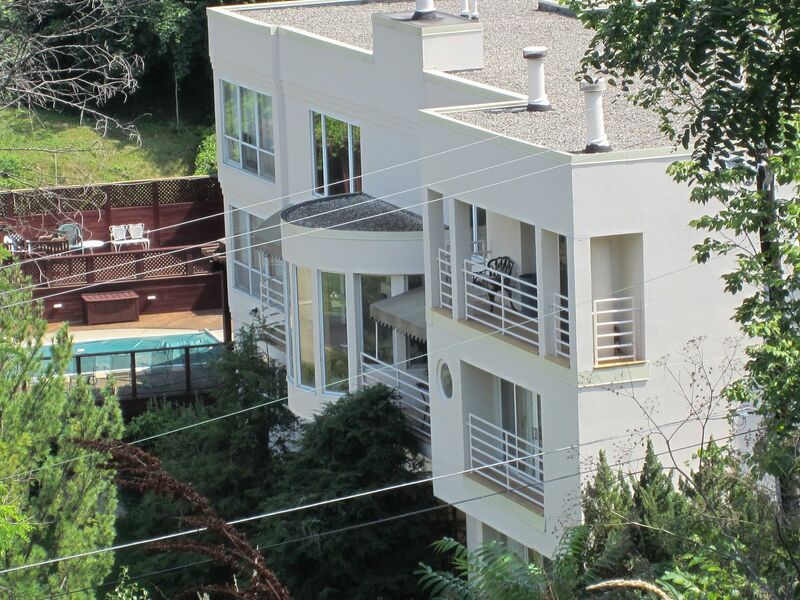 The River City News got a rare look inside the property in May. 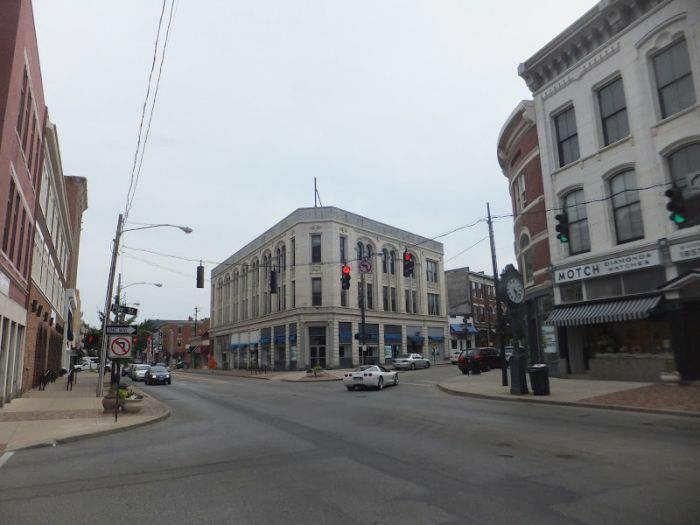 Then in June came the welcome news that a developer would purchase the property from the City of Covington and turn the upper two floors in luxury apartment dwellings and restore the first floor's commercial retail potential. In November, it got its first taste of new life when three pop-up shops opened in the first floor spaces and sold their wares throughout the holiday shopping season. It was announced in September that five vacant shotgun houses in Covington's Westside would be turned into homes that target artist residents. And then earlier in December, the first one was unveiled. Will the long-vacant and neglected Bradford Building soon be poised for development? A Covington-based architect thinks it's ripe. Have you ever been inside the historic Methodist Church in Licking Riverside? Take a look! THANK YOU FOR A MEMORABLE 2013 IN PRESERVATION!